Barry Sonnenfeld's Netflix adaptation is the mission statement America's kids need, but it's not the one anyone wants to hear. 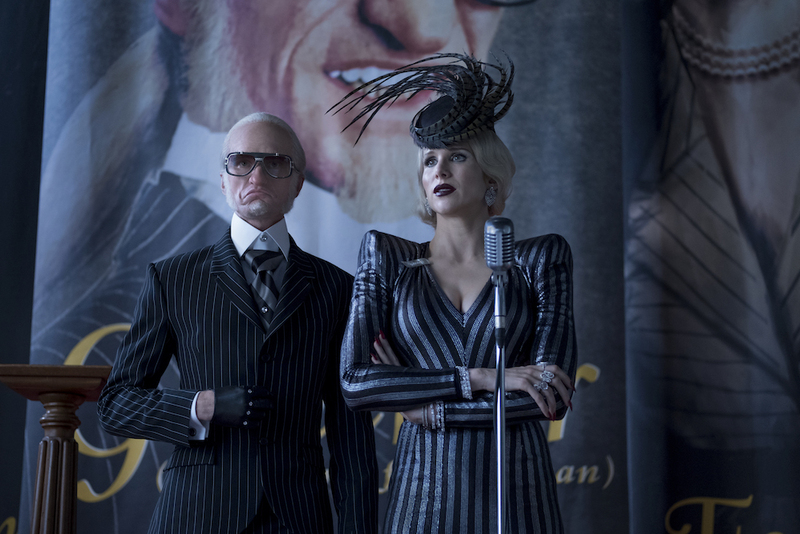 A year ago, when “A Series of Unfortunate Events” debuted one week before Donald Trump’s inauguration, I wrote that the family show was just what the country needed. Depicting a hopeless world run by malicious men empowered by easily duped adults, the three Baudelaire orphans were the only hope for a bright future. Fortified by the truth and encouraged by the few well-meaning grown-ups, these kids learned how to stand up to ignorance, intolerance, and all forms of evil. Could children watching at home ask for lessons more suitable, skills more pertinent, or an allegory more fitting for the world facing them in 2017? I think not. Then, the timing felt serendipitous. Shot long before the election and based on material written during the Clinton administration, there’s no way the creators could’ve predicted what was coming enough to emphasize their story’s darkest elements for added relevance. Their vision just happened to fit. But in 2018, Barry Sonnenfeld’s faithful yet inventive adaptation of Daniel Handler’s novels debuts six days after a historic international march for American lives. 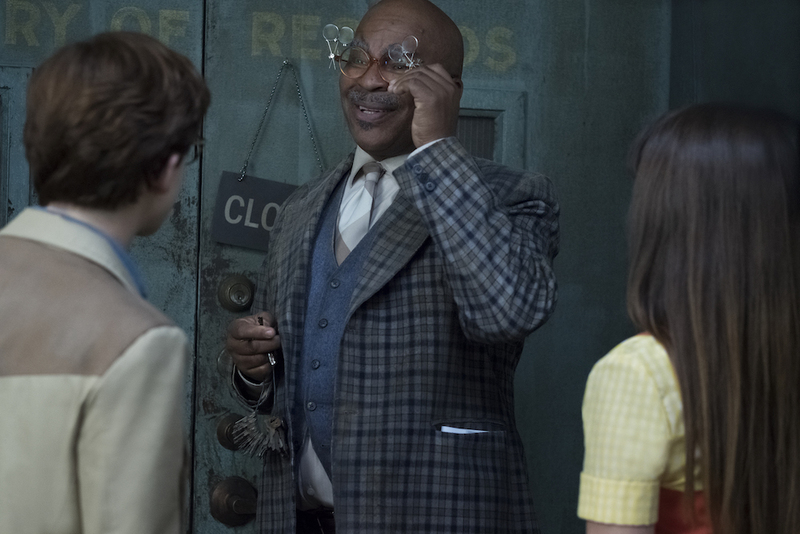 The world is still scary, perhaps even more than it was, and “A Series of Unfortunate Events” absolutely leans into its pertinent analogies to speak directly to budding minds. Its heart and mind are persistently in the right place, and its entertainment value remains high. The only question: Is anyone listening? 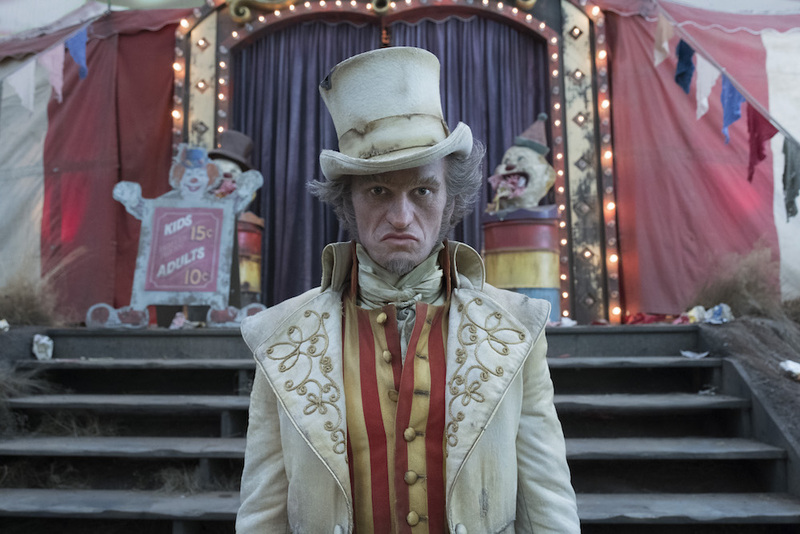 Despite strong reviews and a big budget, “A Series of Unfortunate Events” didn’t seem to make much of an impact in Season 1. The sterling production design and a magnificent lead turn from Neil Patrick Harris netted all of one Emmy nomination (for James Newton Howard’s score), and the general cultural conversation felt tepid (at best). Was it the gloomy vibes? Was it too dark for kids and too childlike for adults? Was it merely a tough sell for the most talkative online audience — teens? Or did it suffer a similar fate as many other series that felt a little too tied to Trump: that audiences weren’t ready to engage yet, and instead fled for escapist fare?. No matter. Season 2 has arrived and it’s doubling down on its first iteration. Darker (two major characters die) and longer (Season 2 expands from eight episodes to 10), Sonnenfeld’s sequel season is everything it was only more so, which should be good news by all measures, but its amplifications include seeing these “Unfortunate Events” as an analogy for America’s similarly tragic circumstances. Whether you like it or not, the series is rising to the occasion, taking its audience as seriously as the times demand, and imparting meaningful lessons for future voters. “These are dark days,” says Jacqueline (Sara Canning), Mr. Poe’s secretary who secretly works for the V.F.D. Making phone calls from under her desk under the guise of picking up a dropped pencil, Mr. Poe (K. Todd Freeman) calls her on it, but only enough to mock her. He doesn’t find it suspicious so much as stupid, which allows her to keep doing it, even though it’s infuriating to remember why she has to hide in the first place: He’s her boss. She’s one-thousand times smarter, but the buffoon is still in power. That’s a recurrent theme of the series, from the many guardians who can’t recognize Count Olaf (Harris) when he’s standing right in front of them to Count Olaf himself. Those in control don’t earn it, so much as they have it. How they obtained such a high position might be a plot problem in another time — a sticking point for viewers who think it’s unrealistic for idiots to hold higher office — but not now. Today, it’s the status quo. The corrupt maintain their power by manipulating others. Count Olaf uses elaborate disguises, voice alterations, and made-up stories to get what he wants or he merely takes it by force. He lies his way into the hospital in order to find the kids, but eventually he just ties up the headmistress and takes over her role. Yet the newspaper is an even stronger parallel to the real world: Though Lemony Snicket would never utter the phrase “fake news,” he doesn’t have to when so much misinformation is “confirmed” by the headlines of The Daily Punctilio. Meanwhile, the opening chapters (two episodes) describe school as a microcosm of society. Viewers can see how “The Austere Academy” reads for kids who don’t like school, but now it plays out like foreshadowing. This school may be bad, but what’s outside is just as rough. Everywhere you go, you’ll find some version of a vice principal who makes you listen to his awful violin music and runs the school like a crazed despot. In “Unfortunate Events,” it’s the next guardian. For the kids watching, it’s life after school as an adult. And therein lies the importance of the series. It recognizes our only hope for the future are those who are going to live it. We need smart kids, educated kids, and noble kids. At a time when we’re marching for our lives, “A Series of Unfortunate Events” highlights what kind of lives we’re marching for: the Baudelaires and everyone like them. Seeing the show like this gives it an admirable edge: Recognizing the timely value of his story, Sonnenfeld and his team of writers (including Handler) have honed their stories to speak directly to the moment. Of course, “Unfortunate Events” can be seen through clear lenses rather than Trump-tinted spectacles, and in that case, everything remains the same — outstanding performances, tip-top set design, eye-catching costumes, stirring musical numbers, and a curiosity-piquing central mystery — except for the series’ story engine. When taken at face value, the repetitious nature of the plot — the kids get a new guardian, Olaf infiltrates, and a plan is hatched on both sides before they narrowly escape to another, similar fate — cannot be masked by all the beauty Netflix budgets can buy. Even with succinct episodes (some as short as 40 minutes), the 10 episodes can grow tiring. With only four books left, Season 3 could duck this problem. It’s intended to be eight episodes (like the first season), and there are plenty of questions to wrap up: How does Lemony Snicket (Patrick Warburton) play into all this? How do the Baudelaire orphans survive that cliffhanger? Who is Allison Williams, why does she have the sugar bowl, and is she the only adult survivor of the Baudelaire fire? Anyone who read the books has all of these answers already, but those on pace with the series are certainly eager to learn what happens in the end. Perhaps the greatest question left is whether or not “Unfortunate Events” will stick to its original and oft-repeated promise: Will this story end in tragedy? Snicket said, right from the start, “If you are interested in stories with happy endings, then you’d be better off somewhere else.” At this point, that’s not why we’re sticking around, but it might be why some are staying away. Sometimes, the truth hurts, but it still needs to be heard. “A Series of Unfortunate Events” Season 2 is streaming now on Netflix.